Home5d guideWhy are Cabs Yellow? They are all over the place in New York City and throughout the United States and other countries. Some people call them “yellow cockroaches” for obvious reasons. If you take all the drivers from the Big Apple and gather them up you can create a Babel where over 60 languages are spoken. People see these vehicles almost on a daily basis and seldom question why they are yellow. One of the founders of the company, John Hertz, found out from a study conducted by the University of Chicago that yellow is the color that attracts the eye the most. The study was right. 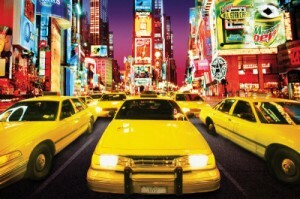 The company grew to be very successful and today yellow cabs can be spotted in many cities worldwide.